The Maelor School is a mixed comprehensive school for pupils between 11 and 18 years of age. It was established in the heart of the Maelor in the small village of Penley in 1957, to serve the needs of this extensive rural area. There are five forms of entry (approximately 130 pupils annually) giving a total of 780, including the sixth form of 148 students. Pupils are drawn from eight contributory primary schools in the Maelor but a number of pupils join us from adjoining areas. The School is located in extensive grounds in a very pleasant rural situation. The facilities available enable us to run the full range of activities expected of a forward-looking comprehensive school. These include our excellent specialist science laboratories and design technology workshops. There are five fully equipped computer suites in addition to a number of computers located in classrooms and specialist teaching areas for all subjects, a large gymnasium and a 20 metre indoor heated swimming pool. We are small enough to respond to each child's individuality whilst encouraging all to play a full part in a caring community and large enough to offer a wide variety of courses. We are rural but not isolated, away from some of the pressures of urban life but in touch with all the latest educational ideas. Many parents who live outside our normal catchment area choose us as the school where their children will find challenge in a secure environment. 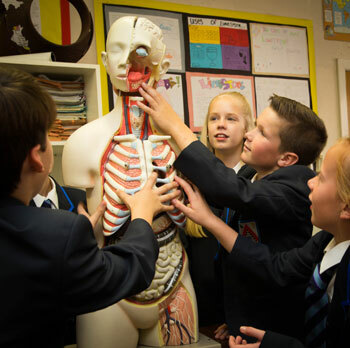 At present there are 51 fully qualified teachers on the staff providing specialist tuition in all areas of the curriculum and the pupil-teacher ratio of 1 teacher for every 16 pupils enables us to run a number of small classes. The school has adopted the following privacy notice in relation to data protection.